If your business hosts visitors who will need internet access, then your business needs a guest network. It’s a convenient option that protects your business’ systems and it is easy to set up. 919 IT Solutions has experience conducting network assessments, providing consultation, and deploying network hardware for our clients. Offering internet access to your guests, clients, and customers is a useful perk many people enjoy. But are you offering this service with your own digital security in mind? When handing out the Wi-Fi password to guests, most people aren’t thinking about the lack of security or vulnerability they’re opening themselves up to. Inviting guests onto the same network (wired or wireless) as your business systems is a big mistake. Think about the devices you’re opening to threats, cash registers, employee computers, business servers, etc. With a guest network, your business can provide a secure way for your guests to connect to the internet without opening yourself to security risks. Although we do not view our business guests as malicious, it’s their devices that can inadvertently be malicious. Guest devices can harbor malware or viruses that will spread when connected to a network. 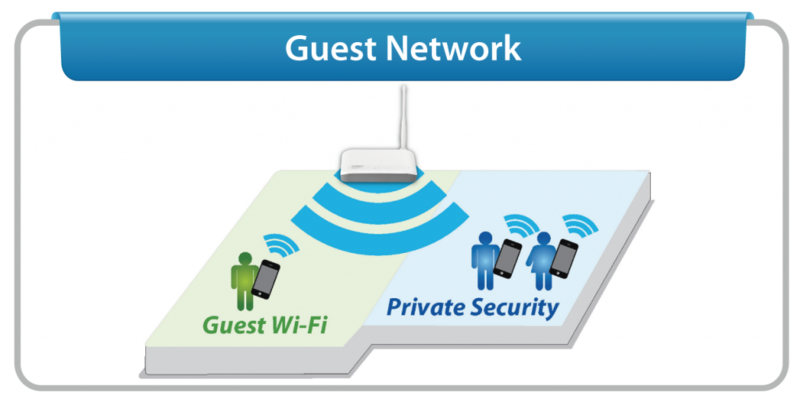 With a guest network your guests can connect to the internet without putting your business devices and systems at risk. Malware is a very heavy concern for anyone with a digital footprint, especially businesses. Businesses are a natural target for malicious actors. It’s fairly common for businesses with poor security awareness to be held victims by known threats like WannaCry. These attacks are defined as ransomware, software that locks your users out of their devices and data demanding a ransom for the return of your data. Although some organizations have become victims, there is no guarantee from the ransomware maker that they will restore your data. These types of attacks can be devastating to businesses and it’s something 919 IT Solutions can help protect your business from. Additional perks for having a guest network include the customization of the landing page and gathering user analytics. When your guests connect, depending on the network setup, there may be a landing page your guest will see first. This page is configurable and can be changed to show your business logo and other information. You can also setup analytics tracking to see where your guests are going. You can use this information to add common shortcuts on the landing page, or just to verify your guests aren’t accessing malicious websites.